Rooms from $116.00 per night. Description This Kennesaw, Georgia hotel has an outdoor pool, free internet access and non-smoking guest rooms. 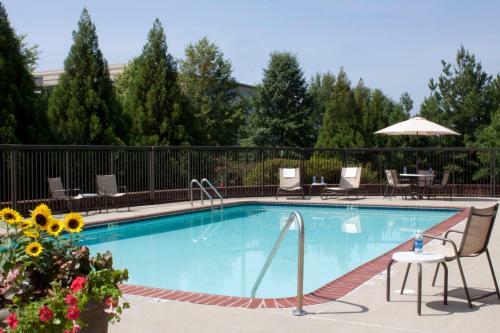 With an outdoor pool and hot tub free breakfast buffet and plentiful amenities SpringHill Suites Kennesaw is just the ticket for our guests. This hotel on three floors provides free Wi-Fi throughout and bright modern decor. All 90 non-smoking suites have cable TV kitchenettes with sinks mini-fridges and microwaves sofa beds and pillowtop mattresses and premium bedding.. The hotel greets guests each morning with a free newspaper and a free breakfast that includes plenty of hot and cold options. There's a business center with everything you need to get work done on the road and the laundry facility can be a lifesaver. After a day of working or touring guests wind down in the outdoor pool and hot tub open seasonally or recharge in the fully equipped fitness center. Parking is free. 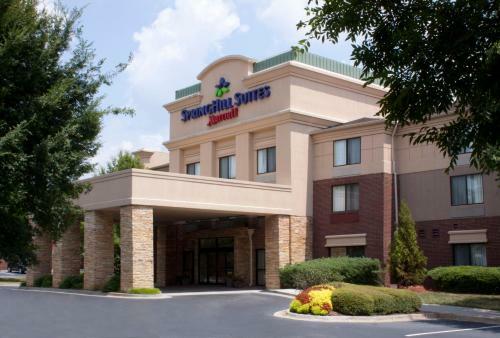 SpringHill Suites Kennesaw is located just off I-75 four miles from downtown Kennesaw. Downtown Atlanta is 30 minutes away. Hartsfield-Jackson Atlanta International Airport is 34 miles from the hotel. Add Springhill Suites By Marriott Atlanta Kennesaw to your free online travel itinerary.